Windows provide light, fresh air and great views to the outside world, but they can also be a major source of heat transfer, making your home unbearably hot in summer and freezing cold in winter. Recent advances in glazing materials have improved the performance of windows to the extent where choosing energy efficient windows can prevent heat transfer, significantly reducing your energy costs and make your home noticeably more comfortable. In hot climates, cooling your home and preventing heat gain is a high priority. When choosing windows, look for types with a lower solar heat gain coefficient (SHGCw) and those that provide good ventilation such as G.James 050 Series louvres. 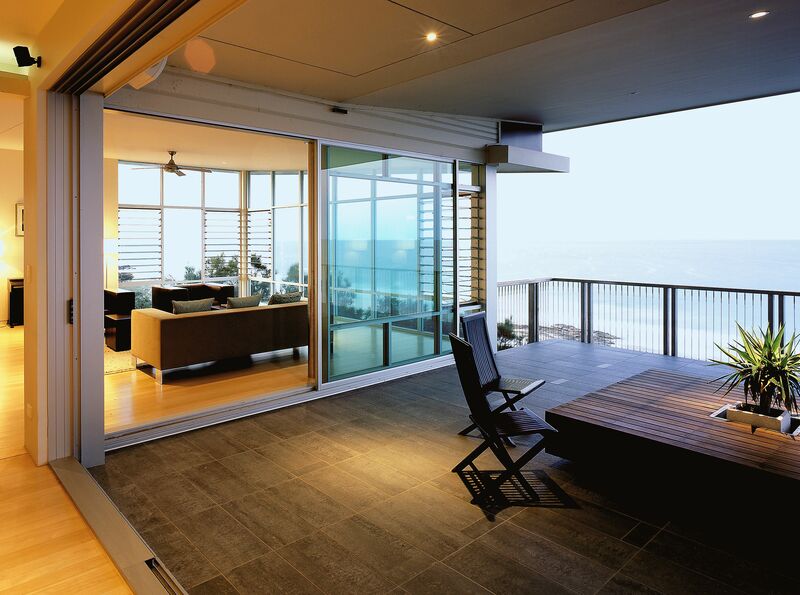 Choose products glazed with a tinted glass or one of the high performance products from the G.James SOLECT® range. In colder climates, heating your home and preventing heat loss is the priority. Heat loss during the cooler, winter months can be reduced by installing window types with a lower U-value. Choose products that are double glazed such as G.James Twin-Glaze or ecoTHERM insulated glass units (IGUs) or one of the high performance products from the G.James SOLECT® range. Maximise the passive solar gain by choosing a glass eg clear, which has a high solar heat gain. In a mixed climate both heating and cooling your home are important, so consider which of these is the primary concern. Depending on whether you’re looking to focus on heating or cooling, you should refer to the relevant recommendations above. If neither heating nor cooling is the priority, choose a window with a lower U-value and a mid-range solar heat gain to provide good year round performance. Between 46%-61% of a home’s heating energy can be lost through windows, while 79%-86% of heat can be gained. Therefore improving the thermal performance of a window can massively reduce energy costs and greenhouse gas emissions. WERS (Window Energy Rating Scheme) rates the energy impact of residential windows in Australia. Energy efficiency of windows is rated using the WERS heating/cooling star system. Cooling stars measure a window’s ability to retain heat within the home. Heating stars measure the ability of a window to reduce the amount of heat gained from sunlight. The aim of WERS is to help home builders and home owners evaluate the relative energy (heating and cooling) performance of different types of windows by rating that performance in terms of stars. Having no stars indicates a very poor performing window while ten stars signifies superior performance. G.James provides a comprehensive WERS search for all G.James window products. It can be found in the professional centre of gjames.com. Windows with large opening areas maximise opportunity for ventilation and cooling, but larger areas can reduce energy efficiency. Installing an awning or a sunshade over a window will reduce the impact of solar heat gain, and effective window configuration can also improve seasonal efficiency. Knowledge of these factors will help you make an informed choice, but an experienced local glazing professional can also help you devise a solution to suit both your preferences and local conditions.